Most people are well aware by now of the problems of antibiotic overuse. And most also are aware that a lot of the problems are the result of people starting a round of antibiotics but not completing the full course of treatment--thus allowing resistant bacteria to survive and thrive. But if you only use antibiotics to combat a bacterial infection and take the entire prescription as directed, it won't cause you any problems, right? Unfortunately, according to new research, the answer is a resounding no. You might not be creating any superbugs, but you may very well be putting yourself at risk of type 2 diabetes. The study, which took place at the Center for Diabetes Research at Gentofte Hospital and the University of Copenhagen in Denmark, found that individuals diagnosed with type 2 diabetes are more likely to have used antibiotics in the years prior to developing the condition than their peers who did not develop diabetes.1 The subjects were more than 170,000 Danish men and women with type 2 diabetes as well as a control group of approximately 1.3 million Danish men and women without the condition. The researchers analyzed data from national health registries from 1995 through 2012 to identify the group with type 2 diabetes and to obtain an accurate record of the number of antibiotic prescriptions filled by all of the participants. The investigators discovered that the people with type 2 diabetes had a history of filling 0.8 antibiotic prescriptions per year on average. In contrast, the subjects without diabetes filled 0.5 antibiotic prescriptions per year on average. And the higher the number of prescriptions a person had filled, the greater the likelihood that they developed diabetes. The type of antibiotic taken did not influence the results, but there was a slight difference in outcome depending on the category of antibiotics. Taking narrow-spectrum antibiotics like penicillin V was associated with a marginally greater risk of developing diabetes than were broad-spectrum antibiotics such as ampicillin. However, the number of prescriptions filled made a major difference. No matter what form of antibiotic was taken, a link was demonstrated to a 50 percent higher chance of a diagnosis of type 2 diabetes in individuals who filled five prescriptions or more than occurred in people who had taken no antibiotics or only taken them once. A shortage of good bacteria in the gut can impair our ability to metabolize fat and sugar effectively. Type 2 diabetes is characterized by an inability of the body to use insulin correctly, which results in elevated blood sugar levels. So it would make sense that anything that affects this function--particularly in a repetitive way, such as multiple prescriptions of antibiotics--could feasibly do enough damage over time to create chronic, long term problems. How do we prevent this fate? The best first line of defense is to keep yourself healthy so you rarely need to take antibiotics and put yourself at risk. Eating a nutritious diet, exercising every day, and taking a positive approach to your health such as the Baseline of Health program should provide a solid measure of protection. Taking a probiotic supplement can help strengthen your immune system and improve your chances of remaining free of diabetes. 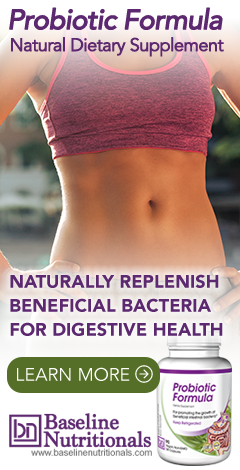 And if you've already had some infections and taken antibiotics not long ago, then you absolutely need to focus on using probiotic supplements to replenish the beneficial gut bacteria that the pharmaceuticals destroyed.